The kit includes instructions for the adapter kit only, the engine to transmission adapter, South Bend flywheel and clutch, and bolts. 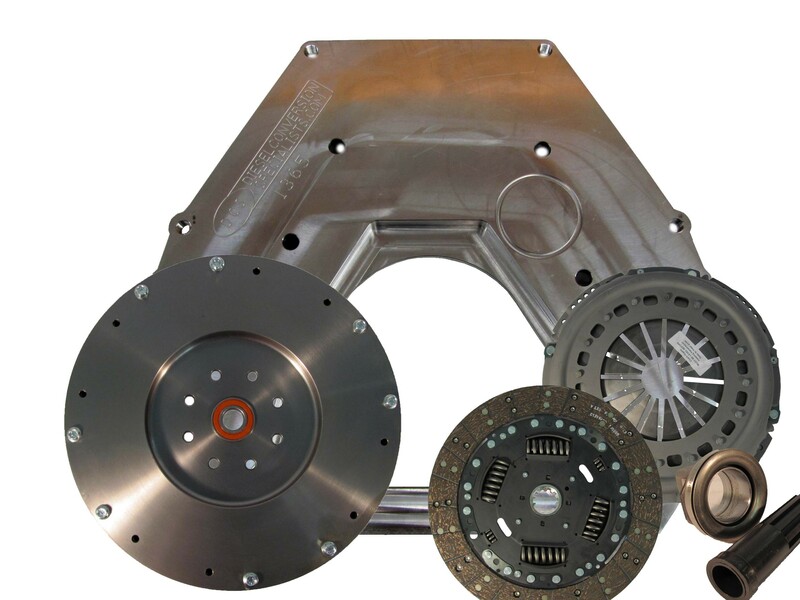 - Significant grinding is necessary on the transmission bellhousing for starter clearance, enough to make a small hole through the side of the transmission bell housing. This does not adversely effect the structural strength of the transmission. - Minimal and insignificant grinding of the Cummins engine block is required, but this does not ruin the Cummins engine block core value. - Using the 2003-2009 Dodge Cummins starter may be possible, but the solenoid wire connector usually hits the oil pan rail- so be prepared to purchase a 1994-2002 Dodge Cummins starter. 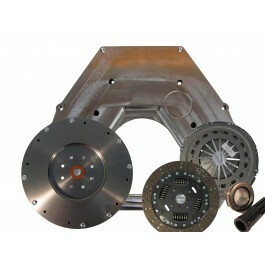 - South Bend Clutch in this kit can handle 450hp and 900 ft/lbs of torque.